Alexander Rose Portofino Round Table 1.5m: The Portofino Round Table by Alexander Rose comes in this attractive and low maintenance design which will seat six people perfect for al fresco dining in the summer. The 1.5m Round Table can be combined with any of the chairs or sofas in the Portofino Range to create a contemporary garden or patio set. 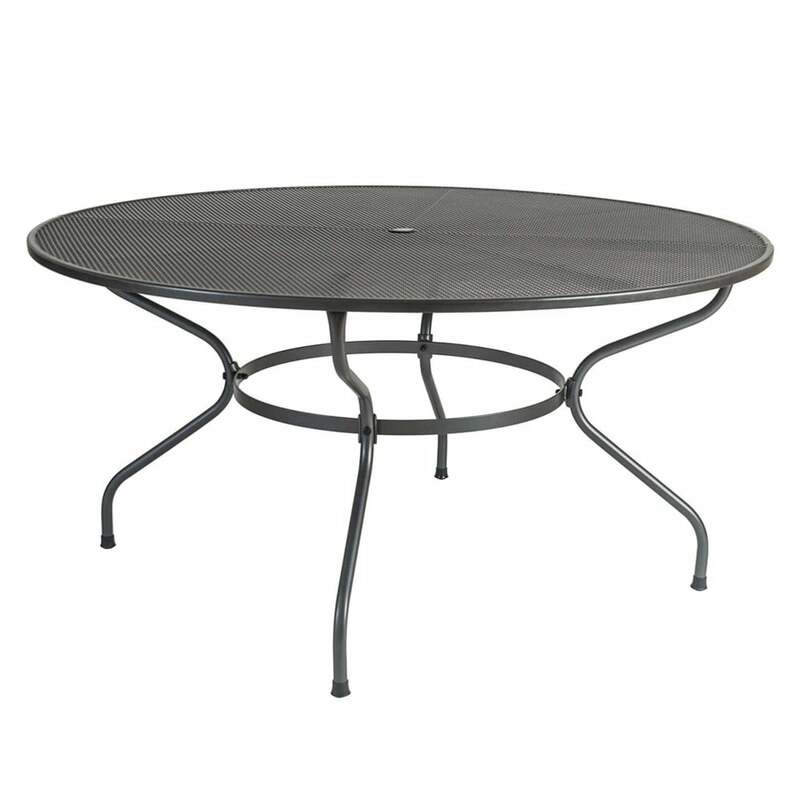 The Alexander Rose Round Table is made with a fine powder coated, tubular steel frame and wire mesh table top for a sturdy design. The mesh is fused to the frame with precision in order to produce a soft blend between the two materials.